There's something to be said about spending a lifetime scratching that entrepreneurial itch and some may call you nuts along the way. 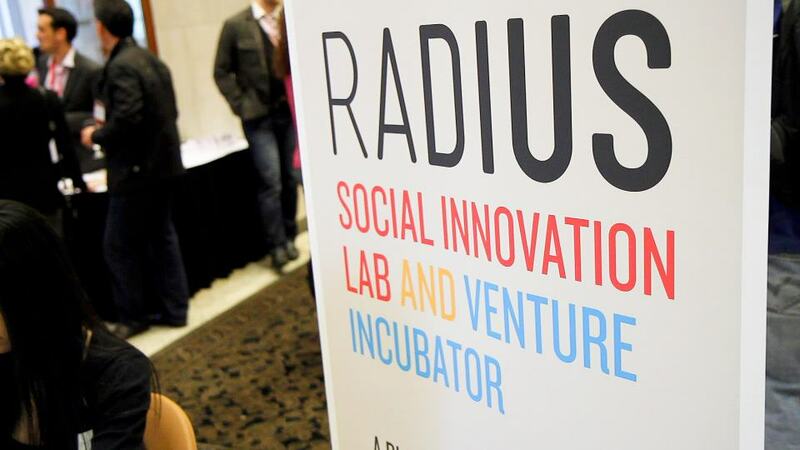 In British Columbia, SFU's new RADIUS Ventures is a promising business incubator sure to nurture our next generation of do-gooders with bright solutions to everyday problems. Remember your first lemonade stand? For me it was mowing the neighbour's lawn and washing their cars. There's something to be said about spending a lifetime scratching that entrepreneurial itch and some may call you nuts along the way. Yet this curious blend of connecting with people, helping solve problems, and trying to earn a living is so alluring. Having a thick skin helps too because dealing with doubters and failure is commonplace. Entrepreneurship isn't about reducing the conversation down to nature vs. nurture. With every human endeavour there's no magic formula for success. It's often finding yourself in the right place, at the right time, with the right people. It's also about being ready to embrace the moment. Regardless of age, experience, success, and failure, every good entrepreneur knows the value of mentors, advisers, listening, and learning. You can never know everything, and you will never know enough. It's a simple fact that entrepreneurship of any kind is an uncertain and extremely hard path to pursue. Glory is not guaranteed. Creating a "Triple P" bottom-line business that's about people, planet, profit is choosing to see the world in a different light. A context of extending generosity throughout the supply chain, rather than a model based on scarcity and profit maximization isn't new. Think about outdoor clothing company Patagonia's long history as a social enterprise. With this notion of generosity and the "Triple P" bottom line, learning more about RADIUS - a social innovation lab and unique student venture accelerator program based at SFU's Beedie School of Business - has been a worthy effort. Still in it's infancy, it's a program set to test the role and value of entrepreneurial nurturing and leadership. Executive director Shawn Smith and chairman David Dunne have co-developed the program they'll soon removing the training wheels from. The team now includes director Donovan Woollard and two part-time "Mentors in Residence," Sean Peters and David Cameron. They are all thankful for a lot of support from the assistant dean, associate deans, and dean at Beedie as well as their partnership with Vancity. 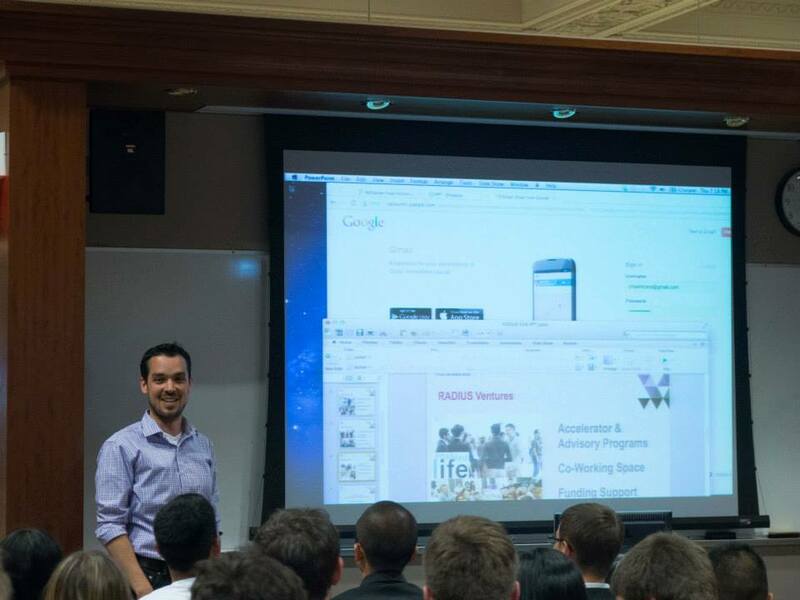 RADIUS Ventures recently held a pitch night, recognizing the hard work of the six teams making up their second cohort. The teams have gone through an intensive seven week application-only (over 50% of the applicants were turned down) mentor-driven accelerator program. It's part school, part real-world experience. With Vancity's help there is also the added seed money award to be given to the top three teams. Two teams tied for second, each awarded $1,500. Refilamer is a desktop 3D printing filament recycling solution and Daycarepedia is creating an online hub to help parents save time in their daycare search. The Daycarepedia folkd hope to bring transparency to the daycare market. 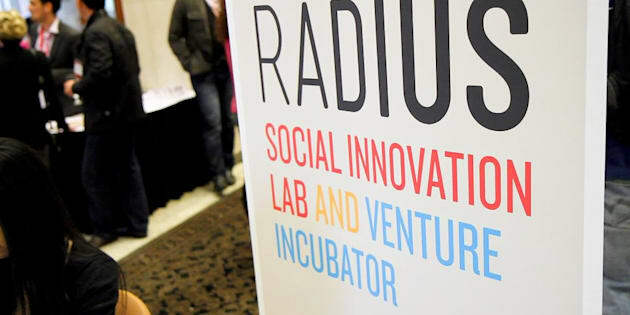 All three teams will also have ongoing incubation support from RADIUS. It's also worth noting that a couple of last year's top teams continue to make great progress. Fusion Kitchen employs recent immigrant women to teach ethnic cooking classes on dishes from their culture to help build self-confidence, develop transferable skill sets and to gain Canadian work experience. 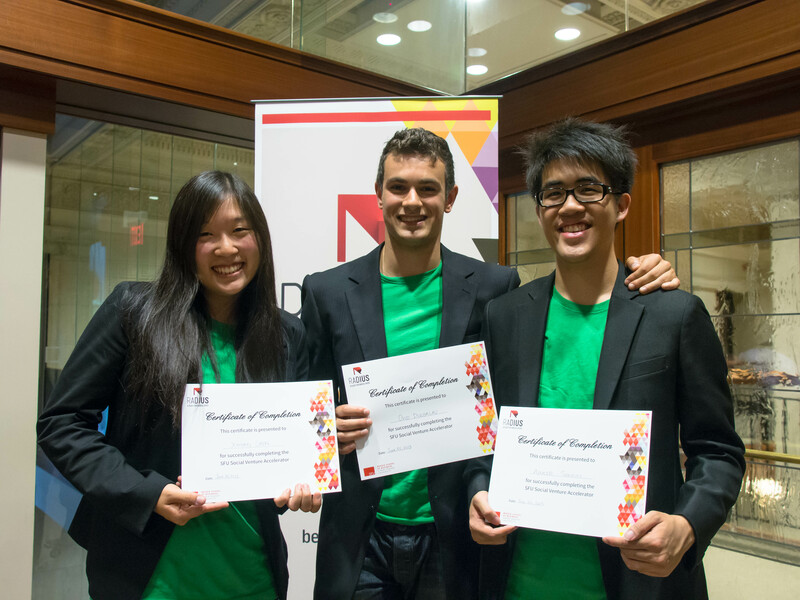 They recently had the opportunity to participate in the prestigious Ashoka Changemakers Emerging Innovators Bootcamp in Toronto. Beyond just the student focus, there's a bolder initiative growing out of this program. Strong Leadership - Ethical entrepreneurs truly committed to social impact with proven experience or demonstrated potential to succeed. Potential for Impact - Does the core business model address a pressing social need or problem? Potential for an Investable Venture - There are foreseeable growth opportunities and a realistic means for the venture to achieve their financial projections. The business model makes sense and the product/service addresses a large or untapped market opportunity. Potential to Achieve Scale - After an incubation period in one location, the business model may be scaled or replicated across B.C., across Canada or internationally. From the likes of LuluLemon, LunaPads, Local Garden, Fairware, Renewal Partners and the Credit Unions, Vancouver has no shortage of business leaders mobilizing the community around positive social change. 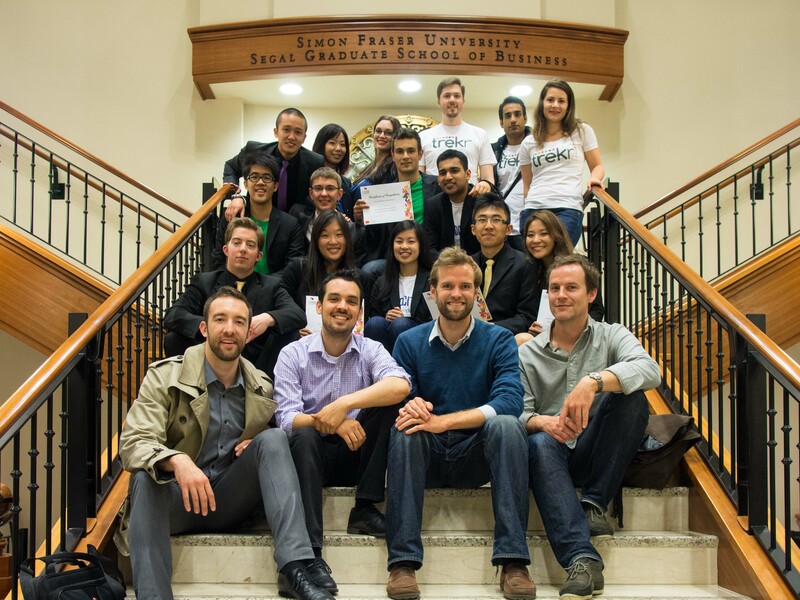 Seeing our Universities foster and support the next generation of social entrepreneurs will lay the foundation for a future economy where generosity and prosperity go hand-in-hand.